DRACONOMICON — The History, Magick and Traditions of Dragons, Druids and the Pheryllt by Joshua Free — celebrates its 20TH ANNIVERSARY!! Extending our mind to the most discrete past, based on what knowledge is currently available, we are immediately confronted with a world of primordial and primeval monsters that are almost beyond the comprehension of modern humans who have had no direct overt encounters in their recent genetic memory concerning such “monstrous” creations on the planet – or in the greater universe. Not only does it allude to “monstrous creations” in the cosmos that precede the existence of humanity, it provides evidence for the possibility (or fact) of genetic engineering and “third-party manipulation” taking place not only on earth, but in other “worlds” as well. To uneducated (uninitiated) minds, such concepts are seemingly unfathomable! Referring to the most paramount of the post-Sumerian (Babylonian) accounts of the Epic of Creation, scholars most notably refer to the ENUMA ELIS – a series of seven (six plus one) cuneiform tablets that were forged by the “Nabu Priesthood” in Babylon as a means of elevating the status of MARDUK, an Anunnaki Prince-Son of ENKI (the brother of ENLIL). 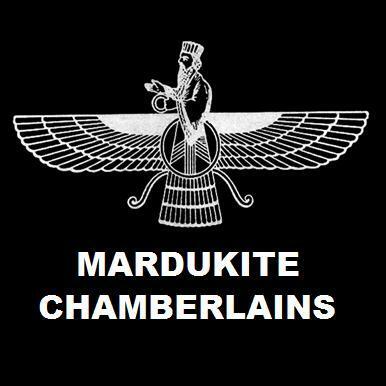 A considerable amount of background information for this paradigm can be gleaned from the “Mardukite” work by Joshua Free – but the main tenets are clear by any approach. The Ancient One – Mother to them ALL. We are given here, a description of the formation (or formulation) of the universe as a material matrix-structure. From out of nothingness came the Abyss – and from the Abyss was spawned (fragmented) the first of the material creatures, TIAMAT, the primeval dragon and “Mother” to ALL. Later, from the same tablet, we are given a description of her ability to further “spawn” (fragment) material existence into the “monstrous” and “horrific” creations that now seem to only imaginatively plague men in their nightmares. Fierce monster-vipers she clothed with terror. She made eleven kinds of monsters. DRACONOMICON — The ultimate “Book of the Dragon” for magick-users and fantasy enthusiasts alike. This completely revised and expanded edition of the underground cult classic “Draconomicon” offers powerful teachings and lore of ‘dragon magick’ and its legacy. Discovering the wisdom & power of the dragon has never been easier. Come and initiate yourself to the Great Mysteries and venture on a journey beginning in the primordial depths of the primeval abyss of the “Great Universal Dragon” and following through millennium of ageless mysteries into the present age… and the future!